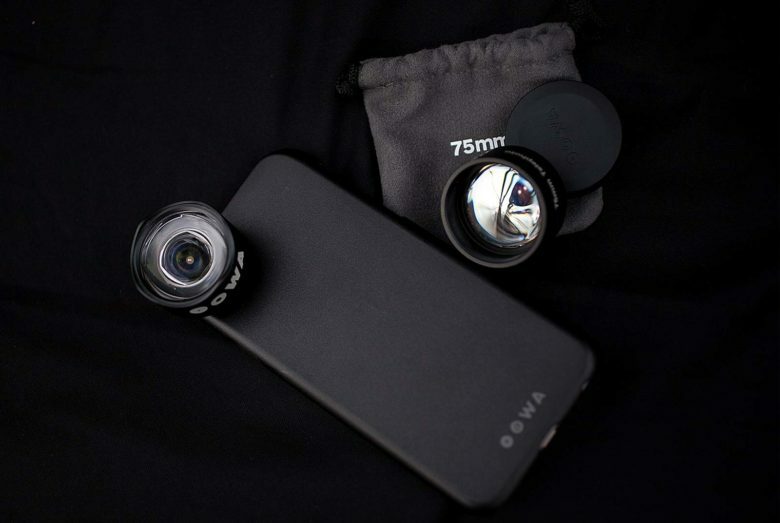 The OOWA Pro Kit for iPhone with case and two lenses, a 15 mm wide and a 75 telephoto. Screw the 15 mm wide-angle lens into the case, point your iPhone at breathtaking scenery and snap the shot. If the experience made you say “Oo-Ah,” you will then know how to pronounce the name behind a pair of new lens attachments for the iPhone created by Singapore-based DynaOptics. The OOWA wide-angle and telephoto lenses for the iPhone 6 and 6s series were designed to create that kind of wonder, both in image quality and the sound your mouth makes while looking at your photos. The OOWA lenses are just now coming to market after a successful Kickstarter campaign in 2016. The OOWA team sent me the $149 pro kit, which comes with both lenses, a case, two lens caps and a lens hood, for review. 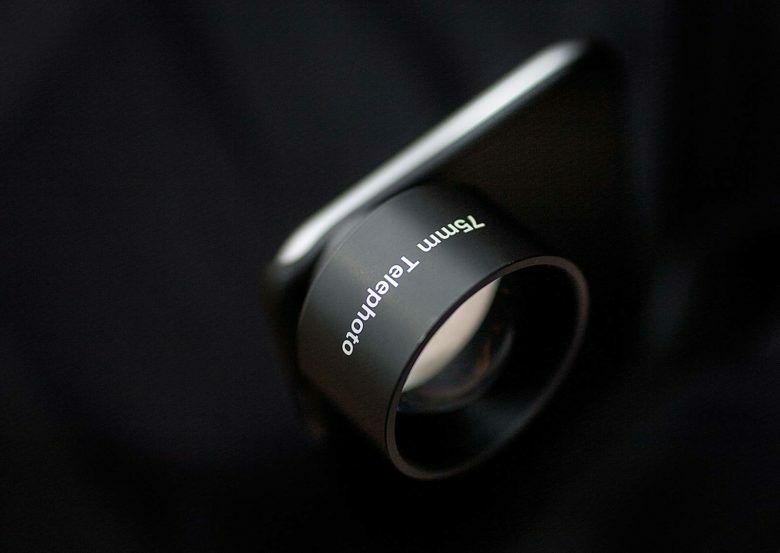 There are dozens of companies offering lens attachments for smartphones to extend the range of the fixed focal length on the iPhone camera. 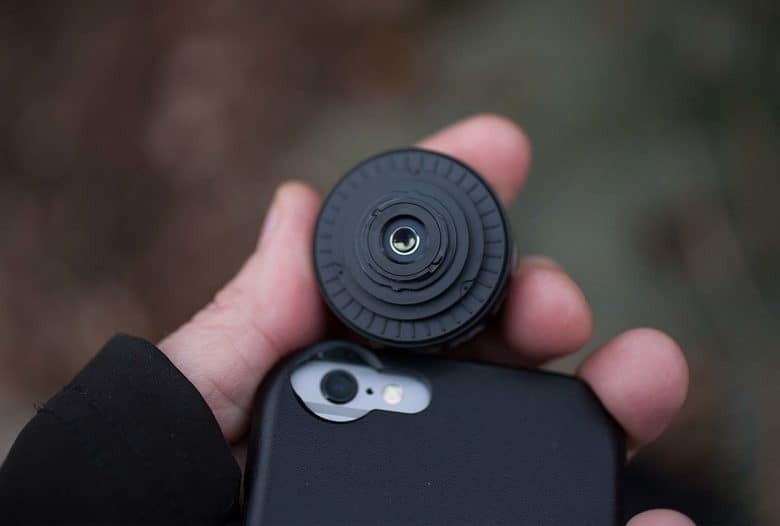 The two leaders in this category, Moment and olloclip, are popular with serious mobile photographers. OOWA campaigned on a promise of unprecedented clarity with a “rotationally asymmetrical” design. Smartphone camera sensors are rectangular and many lens attachments are designed to optimize image quality in a circle, which can degrade quality in the corners of the image, usually showing up as blur, color bleeding or vignetting. The “free-form” design of the OOWA lenses, according to DynaOptics, pulls in pictures through a rectangle to cover those corners on the image sensor and provide better edge-to-edge quality. The OOWA wide lens on my iPhone 6s was used to capture this sweeping winter sunset. 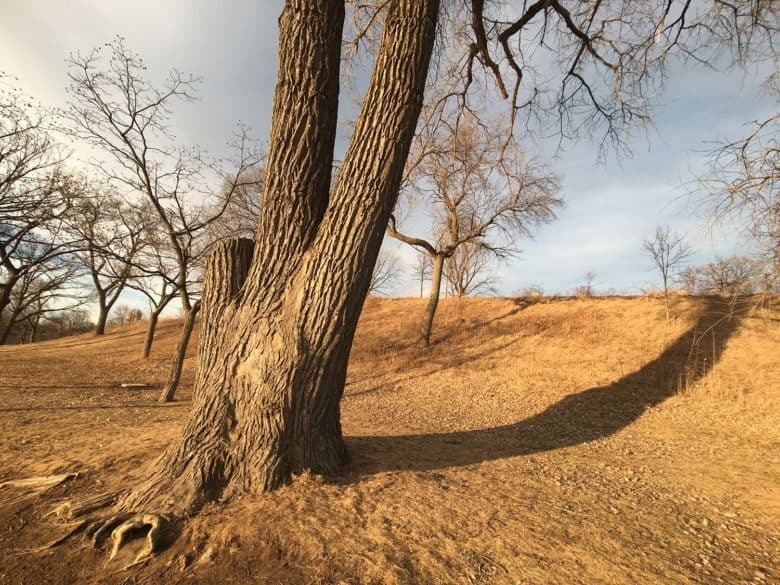 The OOWA 15 mm is as good a wide lens as there is on the market. The corners and edges are crisp and the asymmetrical elements also cut down on some of the funhouse-type distortion common with such a wide view. 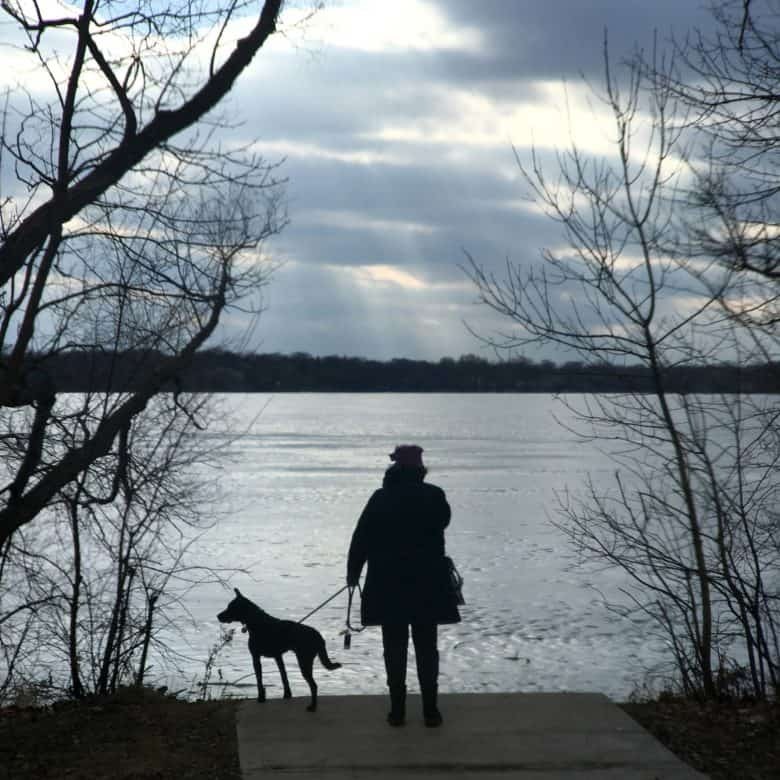 I don’t typically go this wide with my shooting, but I was quickly intoxicated by this lens and how it seemed to love the scenic landscapes of the Minnesota lakes and parks where I like to walk my dog. I purposely left off the lens hood because I don’t mind a little flare in a picture. 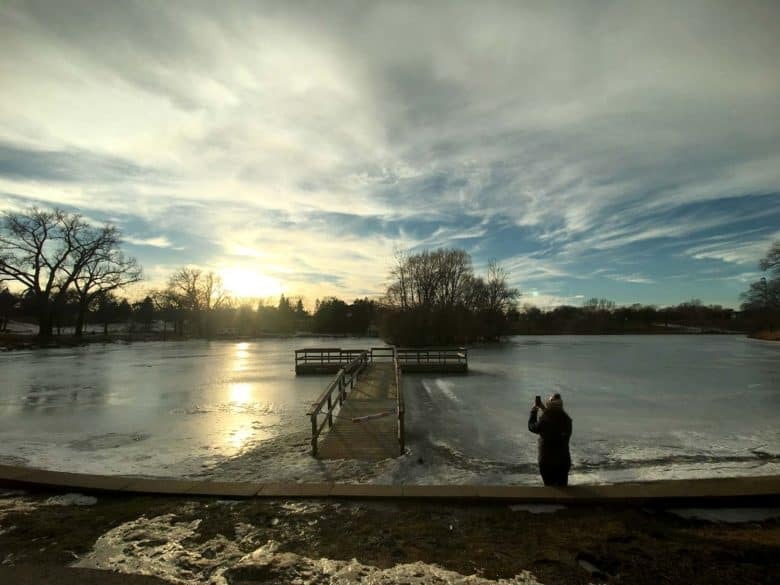 The OOWA 15 mm lens is great for landscapes. 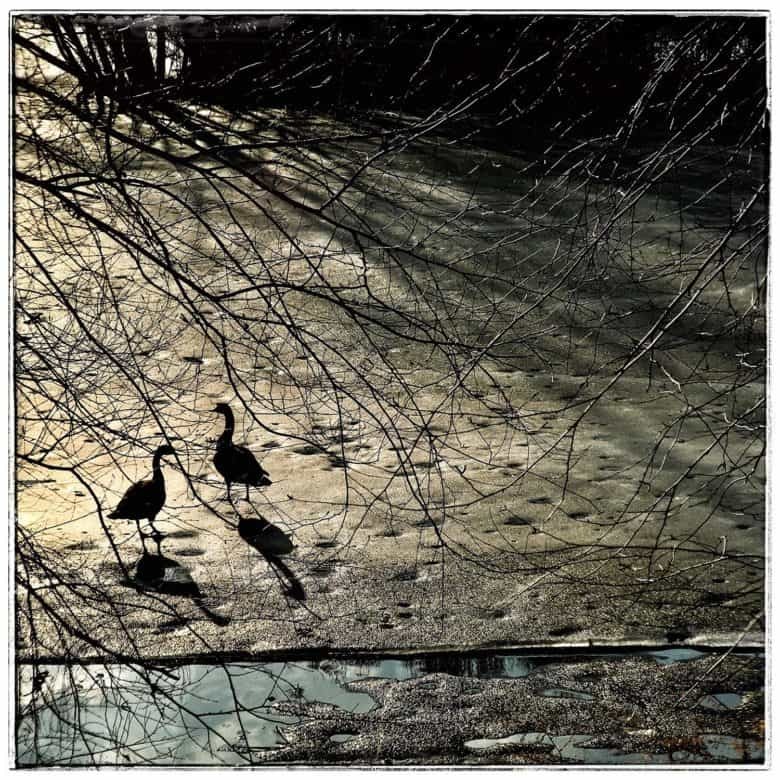 The lens seems to render accurate colors of early morning light that offered various colors and shadows as it reflected off tall grass, cattail silk and the frozen surface of the lakes. Some from my shoot were left unfiltered while others I processed on the spot with Snapped and shared on social media. The telephoto lens offers a nice 75 mm length, which is great for portraits and closing small distances between camera and subject. There were three images out of 21 where I noticed a blurriness in the corners of the frame, and I figured out that I did not have the lens properly secured on the case. 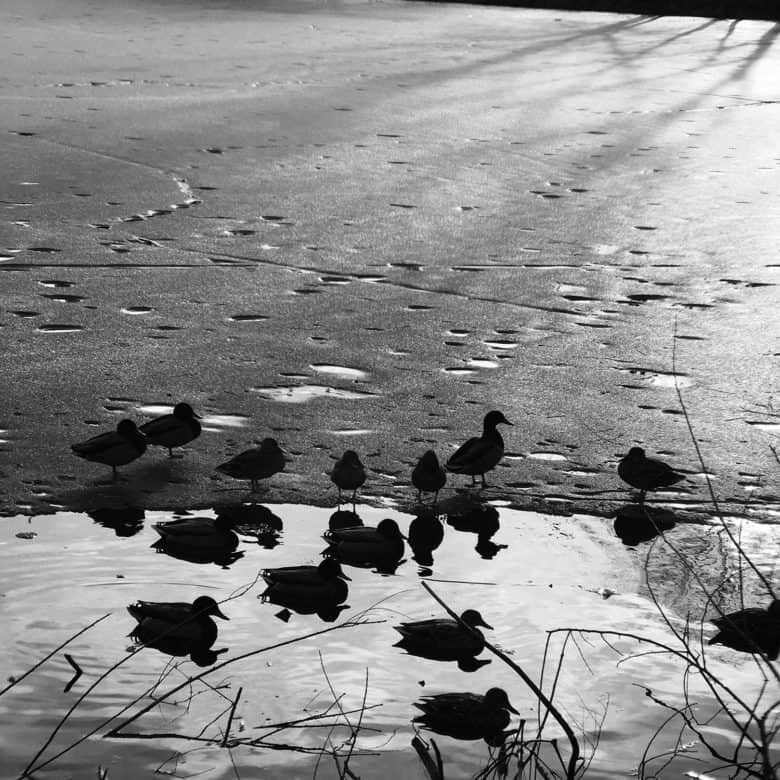 Geese on a frozen pond shot on an iPhone 6s with the OOWA 75 mm lens. More lake life with the OOWA 75 mm lens on the iPhone 6s. This brings me to my only criticism of the OOWA kit. The lens mount, when fastened to the case, feels shallow and a bit precarious. The OOWA website has an unboxing video that shows how the lens fits onto the case. There are two little teeth on opposite sides of each other on the back of the lens that should be facing the 12 and 6 positions when lining it up with the opening on the case. It can be awkward to get a lens to fit just right so that it turns and clicks into position. On a couple of occasions, I turned the lens past the point of locking, like how a screw keeps turning when the thread is stripped. The OOWA telephoto on iPhone 6s. Mounting an OOWA iPhone lens on its iPhone case can be tricky and takes practice. I paused, took a breath, slowed down my fidgety fingers and stopped cranking when I felt the lens lock in. Afterward, I remained slow and deliberate on how I changed lenses on the case and haven’t had a problem since. With practice, there is a feel that becomes familiar when the lens is properly mounted. My contact at OOWA was receptive to the feedback and said other photographers wrote in with the same concerns. He acknowledged that the current mount is not a “hard lock” and that the company is working on a more stable mount for future products. The current mount is more of a quirk than a serious issue and it’s easy to work around. I can put up with a little fuss knowing that the right alignment will bring tack-sharp results. The OOWA telephoto was not mounted properly on this shot, leaving the corners a bit out of focus. But the moment with my wife and our dog was sharp enough to make this photo a keeper. Many companies sell each piece separately, even lens caps. OOWA gives the buyer a case and a lens with a cap. You could get the wide-angle or the telephoto lens each for $99, but the best value is the Pro Kit which gives you both lenses for $149. Right now, OOWA lenses and the case can fit the iPhone 6, 6 Plus, 6s and 6s Plus. However, accessories for the iPhone 7 series are currently in development. Price: One lens with cap and case, $99; Pro Kit with wide and telephoto lenses, case and caps, $149. OOWA provided Cult of Mac with a review unit for this article. See Cult of Mac’s reviews policy; and check out more stuff we recommend in our Best List reviews.